Vocational training, also known as Vocational Education and Training (VET) and Career and Technical Education (CTE), provides job-specific technical training for work. The program generally focuses on providing mostly youth with hands-on instructions and can lead to certification, a diploma or certificate. Vocational training at Makhzoumi Foundation is organized very systematically on the basis of vocational groups. A vocational group includes trainees whose work activities are based on similar technical skills and who need related expertise in order to perform their job. Our mission is to provide our trainees with educational, technical and vocational skills. 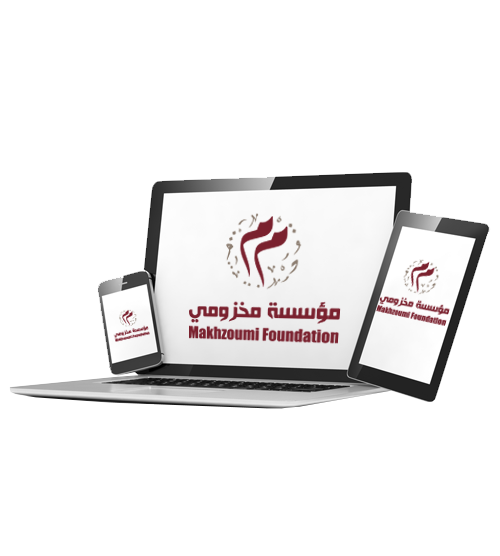 It fulfils two of Makhzoumi Foundation’s goals including encouraging the seeking of knowledge and promoting self-reliance. Our courses are administered in Beirut, Aramoun, Tripoli, Baalbek and Saida, and are tailored to cater for the essentials of the labor market. This project was implemented in partnership with the Danish Refugee Council funded by BPRM. The overarching goal of the project is to contribute to preserve the quality of asylum for Syrian refugees in Lebanon through the provision of shelter and protection assistance, and promotion of self-reliance. The overall objective of the project is to contribute to the economic self-reliance, resilience and social stability of displacement-affected populations in Jordan and Lebanon in preparation for durable solutions. This project contributed in providing youth with access to vocational education in marginal areas. It helped them in fulfilling their potentials and empower themselves in becoming ‘positive-change agents’ funded by UNICEF, AVSI, as consortium leader, and CESVI as implementing partner. Makhzoumi Foundation with other local NGOs trained vulnerable youth on digital literacy skills and English literacy skills in Beirut, Mount Lebanon and Tripoli. The project provides trainees with vocational skills. It is funded by INTERSOS and UNFPA and helps develop the skills within the practiced career to improve leadership and entrepreneurial skills in Beirut and Aramoun. Applying for a course is easy. Mohamed El Outa, one of our photography students, is now a professional wedding photographer and is being offered jobs all over Lebanon, and in some other countries too! Hence he will be able to pay for his student tuitions and continue his learning. A story of a student who started in May 30-2016 who has done Makeup level 2, is now applying makeup for people in her house by the Kit that was provided during the learning course and making her own money from what she learnt. An educated lady wasn’t able to find a job in the nursing field, she registered in beauty specialty and found a job in a beauty Clinic and an opportunity for an income generating source. Ahmad, a man with 4 siblings, 1 brother and 3 sisters, from a modest family financially. He was working in Syria in the textile business. Through the apprenticeship program we allocated Ahmad with Hassan Assaf in 04-06-2016 as a full time employee due to his trustworthy, integrity, honesty, hardworking and high experience. Assaf always thanked us for the great opportunity to know such employee who knows and can handle things responsibly. This employer always thanks us for introducing him to Ahmad. We had a touching story, with a girl who had special needs, she was illiterate, from low socio-economic level and wasn’t able to interact with people, she used a hearing machine, and barely anyone could understand her words, she had psychic problem because of her case and refused to see or talk to anyone. She heard about the apprentices program with MF, and wanted to challenge herself, she approached us and our apprentices’ officer guided her to a way she can benefit from and defeat her fear of people. We put her in the field in to gain a skill, at a beauty Salon, she learnt to epilate and do some eyebrows and some facial beauty treatments, now she earns a salary because of her good skills as quick learner employee from the owner and from the apprentices program. A giant leap in the foundation history is to have five ladies in the Cell Repair class which spots the lights on the women’s passion toward specialties people used to think it’s only a man’s thing. The Step Forward program is an internship program or a skill-based volunteering (SBV) opportunity to empower youth with the needed skills for employment opportunities in exploring how their discipline looks in the real world. It offers responsibilities, experiences and challenges of launching a career through personal contribution in advancing the community.